One of the most potent flavors a cook can employ comes in the form of citrus fruit. The flavor of citrus can brighten up bland savory dishes, tone down sweet desserts and cut through oily dressings and marinades. But it isn't just citrus juice that works this magic. Powerful flavor is in the skin of the citrus fruit. When that skin is finely grated and added to a recipe, the whole dish POPS! It is where the word ZESTY comes from. If a recipe calls for citrus juice, consider adding a little zest, too. It just punches up the flavor. I always add lime zest to my key lime pie and I love pairing orange zest with chocolate desserts. Lemon zest works wonders with broccoli or asparagus. The possibilities are endless. The zest of other citrus fruits, like grapefruit, blood orange, and tangerine can also be great flavor boosters. Generally, citrus zest is very finely grated and the reason is simple. The flavor in the zest is so potent, it must be used judiciously. Larger slices of zest can be added to soups for a more flavorful stock. You would just need to remove them before serving. Lemon zest is a perfect partner for chicken soup and for a Mexican flavored chicken tortilla soup, lime zest would be a great addition. I have a recipe for orange scented tomato soup that is unusual and delicious. The flavor of the orange, juice and zest, just adds a depth of flavor to the tomato and makes the whole dish more interesting and complex. It adds umami to the soup. You can't tell what it is, but you notice the deeper flavor. When you are zesting your fruit, be sure to get only the colorful outer layer of the skin. Avoid the white pith. It is bitter and will not enhance your dishes. 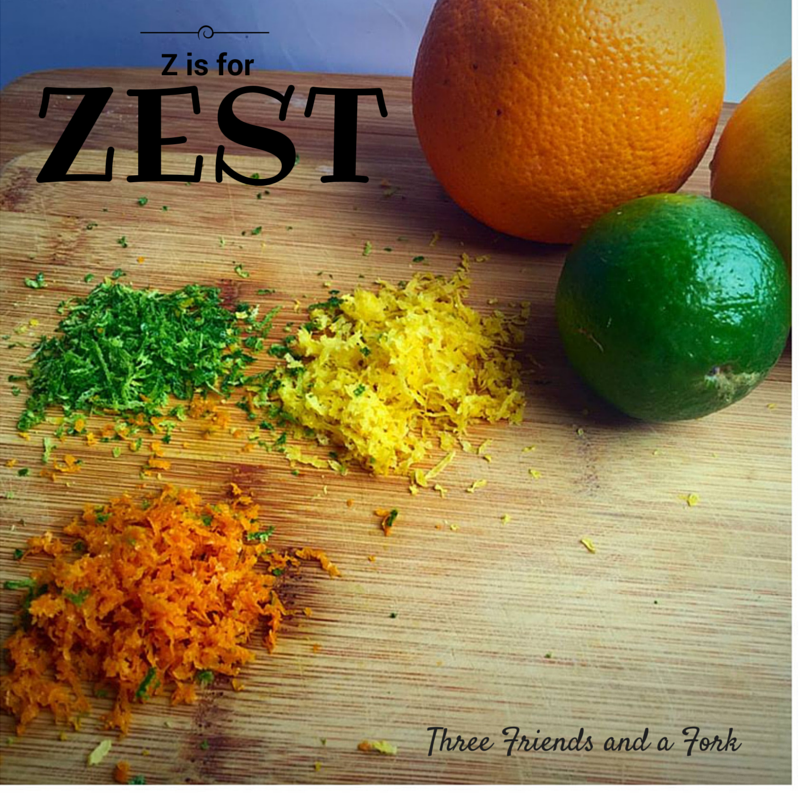 So, the next time you are preparing a dish that calls for citrus juice, think about using some of the zest. Every time you juice a lemon or lime and throw the peeling in the garbage, you are throwing out flavor. Don't waste flavor! Get ZESTY! Wholeheartedly agree, the full citrus flavour is in the zestI love to use citrus zest in lemon curd or lemon delicious pudding. Congratulations on completing challenge. I learned more about zest! Thanks for sharing! I use a lot of lemon zest.